A woman helds a tracing request. Two days ago a 7.5 magnitude earthquake struck Afghanistan/Pakistan with the epicenter in the Jerm district in the Afghan province of Badakhshan close to the border with Pakistan. Shockwaves were felt throughout the region. 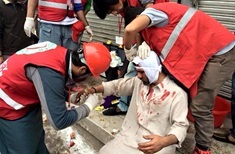 The Afghan Red Crescent deployed about 200 volunteers and staff to the affected areas to provide emergency relief, conduct assessments and assist with blood donation services. Emergency response teams are mobilized for search and rescue. 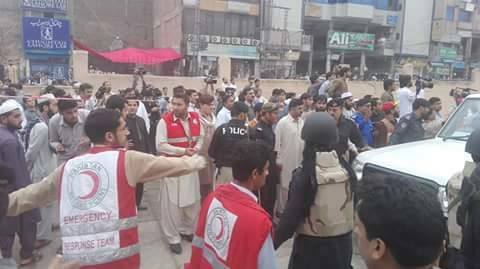 The Pakistan Red Crescent Society also immediately deployed to carry out relief activities. Emergency medical material to treat patients has been delivered to Lady Reading Hospital Peshawar and District Headquarters Hospital Swat. The Family Linking website has been activated in response to this disaster. The website is currently available in English, it will be followed by an Urdu then Pashto version. 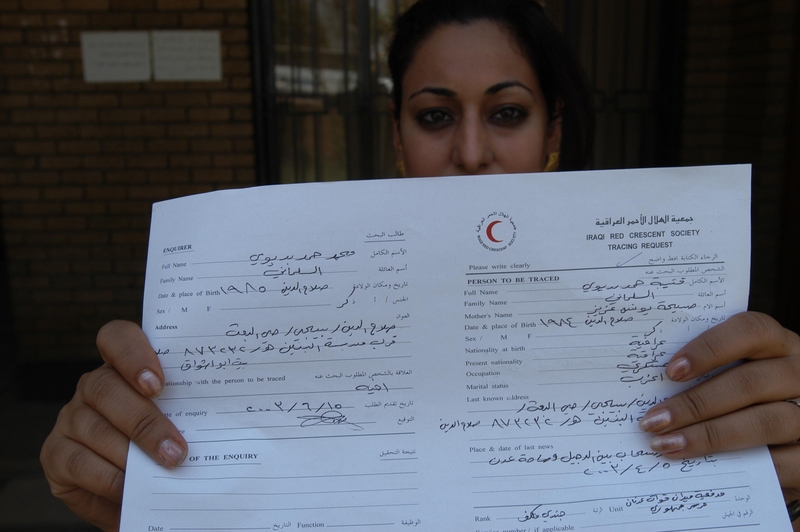 People can register in a form on the website, which is submitted to the Red Cross. Names will not automatically appear on the lists in the website. The names which people wish to make public will need to be processed by the Red Cross first, which is continuously updating the lists. If anyone is unable to use the website contact the Restoring Family Links Unit at 202-303-5280 for further guidance. Inquiries concerning U.S. citizens should be referred to the U.S. Department of State, Office of Overseas Citizens Services at 1-888-407-4747. Show Us How YOU are Ready for El Niño – CONTEST TIME! The saying goes… “There’s calm after the storm”… but in California… not so much. We’ve been in serious drought for almost five years, had two of the most destructive wildfires in our state’s history last month, and el Niño 2015 is expected to rival the mighty 1997 event that led to severe flooding, tornadoes and other extreme weather across the U.S. In fact, the 2015 event may be among the strongest on record. The Red Cross is known to respond to disasters, but we also are in the business of preparedness. Now is an important time to gather and plan ahead… just follow our Be Red Cross Ready – Flood Safety Checklist. To make this preparedness time even better! We’re creating a contest. Share your ‘Family Preparedness Plan’with us! Send us a 1-2 minute video that explains your family’s preparedness plan, show us your kit and explain your evacuation strategy. Upload the video on our Facebook page – Facebook.com/RCSierraDelta. 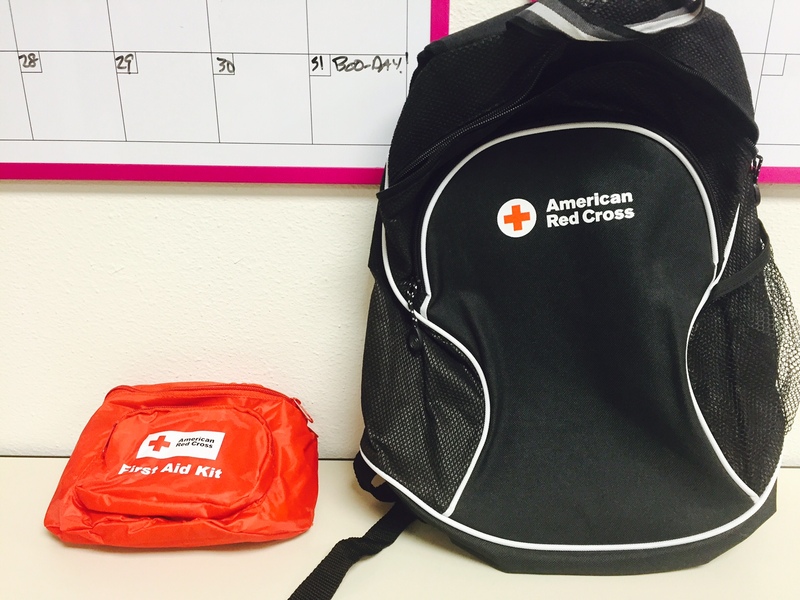 If you are the winner, you could win a Red Cross Backpack or a PetFirst Aid Kit! Two winners will be selected by end of business thisFriday, October 30 by 5:00pm. Winners will be selected based on the number of entries received… all names will be entered into a hat and two names will be pulled by a Red Cross staff or volunteer. Good luck and happy preparedness time! 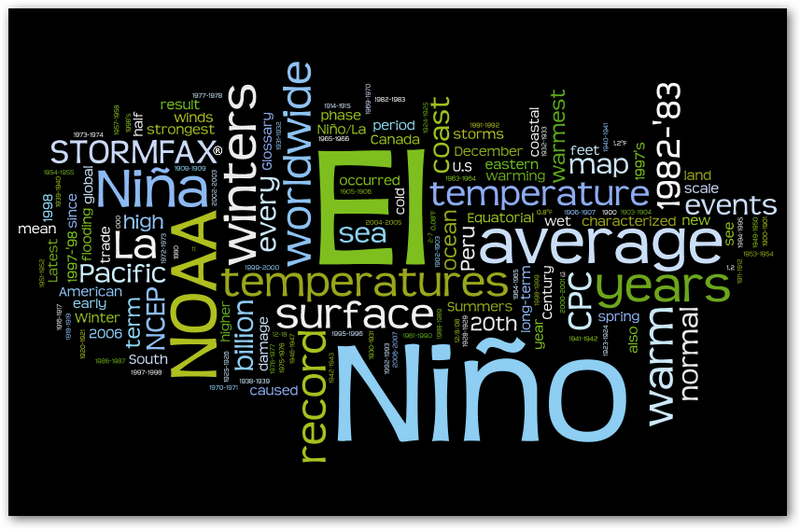 Posted on October 26, 2015 Author Gold Country CrosswordsCategories UncategorizedTags Contest, El Nino, Preparedness, red crossLeave a comment on Show Us How YOU are Ready for El Niño – CONTEST TIME! As I write this blog, our thoughts are with the people of Mexico and our partners at the Mexican Red Cross: Cruz Roja Mexicana. Hurricane Patricia, the most powerful tropical cyclone ever measured in the Western Hemisphere, is forecast to make landfall in Mexico Friday evening as a catastrophic Category 5 storm, putting 400,000 people at risk. In addition to unprecedented winds, the storm will bring flooding rainfall and a dangerous storm surge to the Mexican state of Jalisco which includes the popular coastal resort city of Puerto Vallarta and Guadalajara, Mexico’s second-largest city. Moisture from Hurricane Patricia may also add to the heavy rainfall and flash flooding expected in Texas and neighboring states this weekend, and local Red Cross chapters are mobilizing volunteers, supplies and shelters in case they are needed. Due to major flooding in Hildago County, Texas and widespread damage in upwards of 50 counties throughout Texas, in June 2015 we called on our Mexican Red Cross counterparts for help. Within two days, they deployed a 10 member team from neighboring Reynosa, Mexico and stayed for nearly 2 weeks, helping with bulk distribution of relief supplies and serving as translators for caseworkers and providing much needed psycho social support for survivors. The American Red Cross worked closely with the Mexican Red Cross in the aftermath of Hurricane Odile that struck Baja, Mexico on September 14, 2014. We contributed $43,000 to the Mexican Red Cross to assist in providing food kits to displaced people. We also helped reconnect families of US citizens stranded in Mexico during the hurricane. In 2014, when an influx of unaccompanied minors coming into the US were being processed by Customs and Border Patrol, the American Red Cross provided over 14,000 calls to enable these children to tell their loved ones that they were safe. This response was made possible by countless American Red Cross volunteers and collaboration with the Mexican Red Cross. The Saskatchewan wildfires in Canada in July 2015 prompted the largest evacuation in Canadian history, and 26 American Red Cross workers deployed to support the Canadian Red Cross. During the Alberta floods in Canada in July 2013, the American Red Cross put operations experts on the ground to help with bulk distribution of 574,000 relief items. During the response to Hurricane Sandy in 2012, both the Mexican and Canadian Red Cross societies sent workers to New York and New Jersey to help. 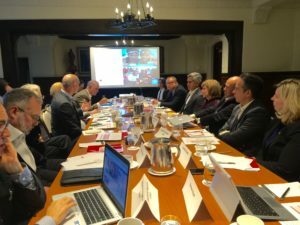 We are grateful for this continuing strong collaboration between ourselves and both our Red Cross counterparts in Mexico and Canada and we look forward to deepening it in the coming year with cross-training and exercises to simulate a future disaster. 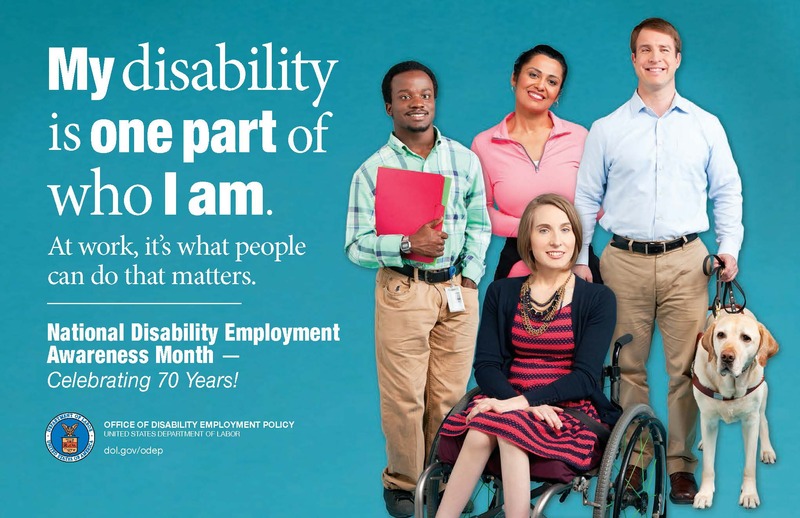 We are all stronger and better equipped to do our best when we work collectively. Washington, DC (October 15, 2015) — The American Red Cross and American Heart Association today announced changes to guidelines for administering first aid. Among the most noteworthy revisions are new and updated recommendations for the treatment of bleeding; recognition of stroke; recovery position; anaphylaxis (severe allergic reaction); treatment of hypoglycemia (low blood sugar) in diabetics; and use of aspirin with heart attacks. Volunteer experts from 14 national and international organizations joined the Red Cross and the American Heart Association in reviewing 22 separate first aid questions. 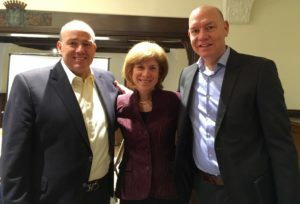 Experts analyzed the science behind each question and worked to reach consensus on related treatment recommendations with the goal of reducing morbidity and mortality due to emergency events. Last updated in 2010, these recommendations form the recognized scientific basis for most first aid training around the world. “First aid can be initiated by anyone in any situation, and our responsibility as experts is to designate assessments and interventions that are medically sound and based on scientific evidence or expert consensus. Knowing the correct steps to take in those critical first moments of an emergency can mean the difference between life and death” said Eunice “Nici” Singletary, M.D., co-chair of the International Liaison Committee on Resuscitation (ILCOR) First Aid Task Force and chair of the First Aid Guidelines writing group. Singletary also serves as chair of the American Red Cross Scientific Advisory Council’s First Aid Subcouncil. Bleeding updates: The revised guidelines stress the importance of stopping severe bleeding as a critical first aid skill. Almost all bleeding can be controlled by steady, direct, manual pressure, with or without a gauze or cloth dressing over the wound. The guidelines recommend pressing hard and holding steady pressure for at least five minutes without lifting dressings to see if the bleeding has stopped. While direct pressure is still the first line of defense, the guidelines acknowledge the important role tourniquets and hemostatic agents play in stopping life-threatening bleeding when standard measures fail or are not possible. Tools now available and recommended to first aid providers include tourniquets for severe bleeding on a leg or arm. For open wounds not on an extremity, the guidelines suggest use of a hemostatic dressing, which is coated with a special agent to enhance clotting and help stop bleeding when correctly applied and combined with direct pressure. Hemostatic dressings are readily available online and at pharmacies. Hypoglycemia in diabetics: Early treatment of hypoglycemia (low blood sugar) while the patient is still conscious and still able to follow instructions can prevent progression to more serious hypoglycemia that would require more advanced treatment. To avoid lay responders from giving too much or too little sugar, the new guidelines recommend use of glucose tablets purchased at a retail pharmacy. Glucose tablets have been shown to be more effective at resolving symptoms of hypoglycemia than dietary forms of sugar. If glucose tablets are not available, food sources such as sucrose candies, dried fruit, or orange juice can still be used. Recovery position: If the person is unresponsive and breathing normally, without any suspected spine, hip or pelvis injury, turn the victim to a lateral side-lying position. Studies show some respiratory improvement in this position compared to a supine, or faceup, position. In addition to the change from the supine position, the modified HAINES position is no longer recommended due to lack of scientific evidence. Anaphylaxis: Under the revised guidelines for treating anaphylaxis (severe allergic reaction), if symptoms persist beyond the initial dose and arrival of advanced care will exceed 5-10 minutes, the first aid provider may give a second epinephrine injection from a prescribed auto-injector. Recognition of stroke: Approximately 800,000 Americans have a stroke each year, leaving them at risk for long-term disability. Early recognition of stroke through the use of a stroke assessment system decreases the interval between the time that the incident occurs and the time it takes for that person to arrive at a hospital and receive specific treatment. This faster time to treatment may reduce the damage and disability from a stroke. This is the first time that the guidelines have examined the science behind inclusion of a stroke identification system into all first aid courses. Use of aspirin with heart attacks: The updated guidelines clarify that aspirin should be used when helping someone suspected of having a heart attack, characterized by symptoms such as chest pain accompanied by nausea, sweating and pain in the arm and back. If the first aid provider is unclear on whether this is a heart attack or simply someone experiencing non-cardiac related chest pain or discomfort, then aspirin should not be given. Additionally, the updated guidelines emphasize that there is no need to distinguish between enteric versus non-enteric coated aspirin as long as the aspirin is chewed and swallowed. While changes in treatment protocols occur every five year as new research emerges, the current training is valid and saves lives. Potential course takers should not delay training, as Red Cross programs and associated certifications will be recognized through the duration of the certification period.